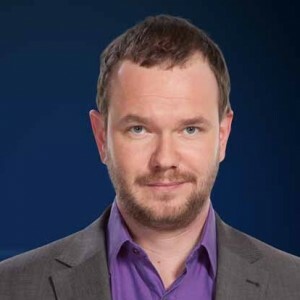 James O’Brien is a British journalist, television and radio presenter who is one of the presenters on London talk station LBC 97.3, presenting on weekdays between 10am and 1pm, hosting a phone-in discussion of current affairs and news, views and real-life experiences. He was educated at the independent Ampleforth College and the London School of Economics, describing himself as a “champagne socialist” sometimes in jest. James began his media career in national newspaper journalism. He became the youngest showbiz editor on Fleet Street, working at the Daily Express, where he secured rare interviews with celebrities such as Eminem, David Beckham and John Travolta. James O’Brien’s broadcasting career began by accident after he was approached by Channel 5 to launch and co-present their current affairs talk show The Wright Stuff. His first engagement as a radio broadcaster soon followed, when he presented BBC Radio Five Live’s political eviction show The Magnificent Seven, which won a prestigious Sony Radio Award. Subsequently, he presented a late-night chat show for regional ITV, as well as fronting a variety of documentaries and discussion programmes for national television. A stint at the helm of the legendary late night debate show, Central Weekend Live, brought him to the attention of LBC in 2002. In the space of a year, and backed by record-breaking ratings, he moved from presenting a single Sunday night programme to the current mid-morning daily show. Despite the demands of his daily radio show, he continues to make regular appearances on national television including BBC TV and Sky News. He has written for Cosmopolitan, the Times Literary Supplement, The Guardian and currently contributes a weekly computer games column to the Daily Mail.